Get ready for the best van/minivan hire in Dublin city! Welcome to Dublin Hire! Best van/minivan vehicles for any purpose: travel, moving, business trips and so on! Just filter by car size – tick “Van” – and you’ll get all available offers. 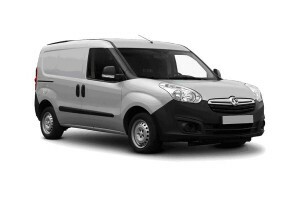 Any mini bus for hire in Dublin is provided by Enterprise car hire company. Additional driver’s surcharge: €7 per day (maximum – €49). Third party liability protection (TP) – Maximum coverage is unlimited. Fuel policy: Pick up and return quarter full. Fuel charges are not included in the rental price. If you intend to travel internationally, pay attention to which countries you can drive to: Northern Ireland (UK) and United Kingdom. Read “Cancellation and no-shows” section attentively, especially about refunds and fines. How to pay for your car? You have to pay by credit (not debit) cards only: American Express, MasterCard and Visa. And, a recent credit card or bank statement that matches your card is required. Also, 2 forms of address proof are required, the same address as on your driver’s license: credit card or bank statement for the credit card presented and the other one is a utility bill (gas, electric, water use bill etc.). Cheap van hire in Dublin is not a myth on Dublin Hire! Book in advance and you’ll get a deal cheaper!